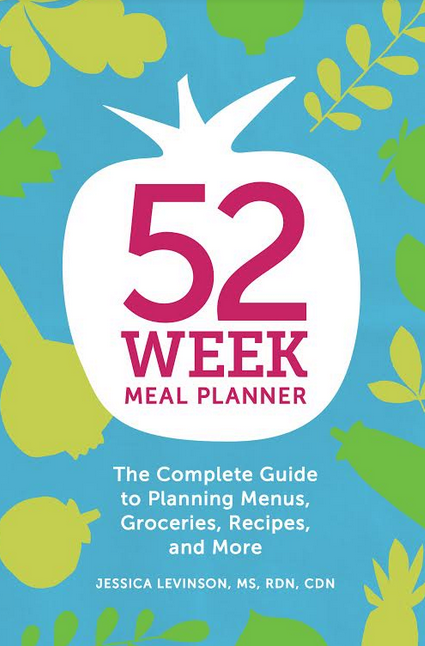 52-Week Meal Planner Book Giveaway! Hi friends! I’m back from my vacations, did you miss me? 🙂 We went to BC for a wedding and then to Ontario for a family reunion and only had a few weeks in between at home to celebrate my birthday and July 1st. Whew I think I’m going to need to sleep the day away tomorrow to recuperate. And then it’s time to get back into routine and menu planning! Are you with me? Yes let’s do it! Keep reading to find out how a brand new 52-Week Meal Planner book (releasing July 31st!) is going to make this whole menu planning thing so much easier. As you know I’m super passionate about menu planning. It’s why I’ve been publishing my menu plans each week here on the blog for over 10 years! It has changed my life and I want to encourage the world to give it a try. It doesn’t need to be complicated or hard at all. Menu planning is simply a tool to take the stress out of getting dinner on the table every.single.night. You see I hate cooking and just want to get in and out of the kitchen fast. Thankfully a menu plan helps me do that while still eating healthy delicious meals on a budget. Seriously I went grocery shopping without a menu plan a few times over my break and it was hard y’all. I had no idea what to buy and spent way more than I should. And I ended up going every couple of days rather than once a week and that is a surefire way to spend way too much money. Time to get back on track! I was sent a preview copy of the soon to be released 52-Week Meal Planner: The Complete Guide to Planning Menus, Recipes, Groceries and More and I’m excited to tell you about it and give a copy away. This isn’t a recipe book although the author, Jessica Levinson (a Registered Dietitian), has many great recipes on her website. 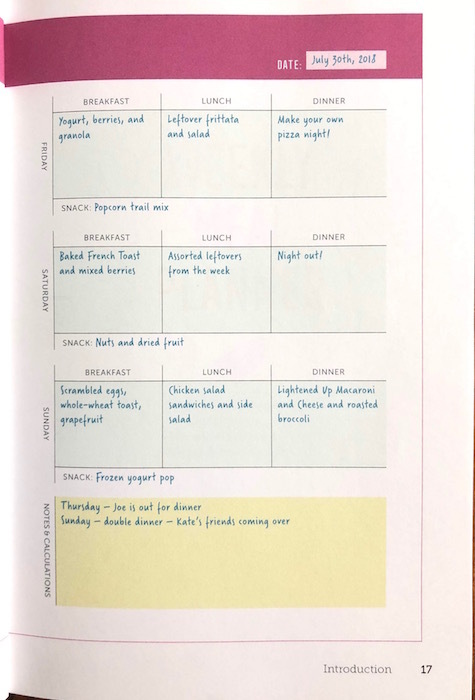 Instead, this handy little meal plan organizer gives you one year’s worth of weekly templates to plan breakfast, lunch, dinner, and snacks. With grocery lists, price comparison sheets, and recipe pages, the 52-Week Meal Planner is an all-in-one guide to take control of what you eat and how much time and money you spend. Plan to eat healthier and plan to save time and money. 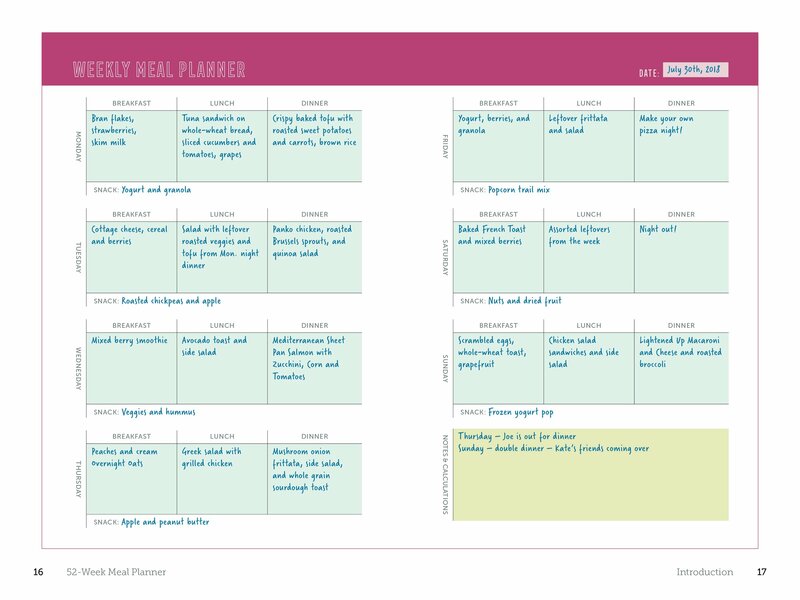 Plan meals to make your life easier with the 52-Week Meal Planner. Here’s to life being a little less complicated and chaotic, whoot!! Don’t forget Menu Plan Monday will be returning this Monday, July 23rd. Join us! To enter to win a copy of the 52-Week Meal Planner book all you have to do is fill in the Rafflecopter form below. This giveaway is open to those residing in both the US and Canada. As always only the first entry task is mandatory and all the rest after that are a bonus for you. No comment necessary but of course they are always welcome! Giveaway ends, Friday, July 27th at 4:00 pm MT. Winner to be chosen at random from entries left. Please keep in mind that sometimes the Rafflecopter form takes a minute to load. If you don’t see it right away, please be patient. Thanks! If you are new here and need some organizing help, here’s a GOOD PLACE TO START and be sure to SUBSCRIBE so you don’t miss a post. Good luck! 16 Responses to 52-Week Meal Planner Book Giveaway! This looks great. 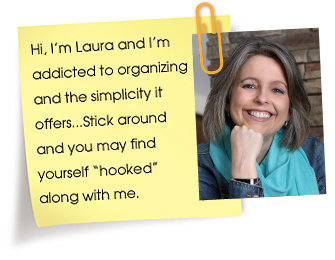 Right now, the four sections you mention are all things I do – in four different places! It would be wonderful to have all that information at your fingertips. I try to plan menus ahead but sometimes I get too busy with other things. I hear ya! I find that doing it at the same time each week (I schedule it in) really helps. I hve followed you for years, I am changing careers and strive to menu plan to make this change with ease. Yes!! Menu planning makes life easier, not more difficult. I promise!! How cool! I’m always saying I need to start a recipe book of my favorites.. this will be an awesome tool to have! Yes a great tool for sure!! I can’t imagine being able to do 52 weeks of meal planning. I would definitely need help. Lol! Linda, it makes a world of difference. Seriously a game changer!! Would love to be able to plan meals every week. I used to plan menus and it saved me so much. I really need to get back to that. I wouldn’t even know where to start…but I’d love to learn how! This looks like a great idea to have everything in one place. I will have to look at this book. looks like something that I should try. I have to start a new diet from the doctor.